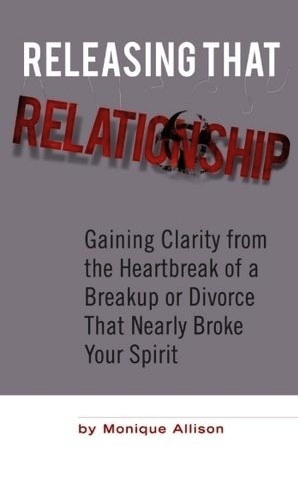 If your relationship has already ended, or you’re in a space of readiness to end it, this book was written for you. My intentions are to help you get rid of your barriers to getting clarity around what you need and how your relationship doesn’t fulfill those needs. Once you’re clear about what you need to feel loved and secure in your relationship, you can decide what to release in order to make room for the love you want to experience. This book is a collection of everything I’ve experienced and learned about getting past barriers of letting go of an unhealthy relationship of seven years. I also share practical steps on what I did to get through mental & emotional blocks in order to be more decisive in the state of confusion. I know a lot of women will benefit from my personal experience because it allowed me to create a healthier space needed to reclaim a strong sense of self, which in turn prepared me for a healthier and happy relationship. A SPECIAL OFFER of Releasing That Relationship is available now through October 4th, so take advantage of this while you can! Click HERE for details. Interested in sharing a book with us? Please click here to send your request for more details on submitting a book entry. Monique Allison is a Relationship Clarity Coach. Her personal experience, observation, and insight gained over the years allows her to help women release unhealthy relationships and heal from broken ones in order to love again from a more self-loving and authentic space. She is also the mother of 10-year-old son, Pharaoh. Monique’s background/experience is in the nonprofit sector working for United Way of Metropolitan Atlanta (UWMA) for 13 years; holding the position as the Quality Assurance Manager. She has achieved a B.A. in Psychology from Clark Atlanta University, is AIRS Certified as an Information & Referral Specialist, attained a Creative Writer Certificate from Kennesaw State University. Monique has also taught life skills to young adults for two years. Learn more about Monique’s work helping women build healthy relationships HERE. Categories: Phoenix Book Pick | Tags: breakups, builing healthy relationships, healthy relationships, loving relationships, personal growth, relationship clarity, self-esteem, self-love, women and relationships | Permalink. Summer is the perfect time to catch up with reading, especially books you’ve had every intention to open months and months ago! Well, in my case I use the down time the season brings to read new books, as well as a few I’ve already read. The Art of Intuition is the latter. Consider it a refresher for me, a reminder to trust my intuition and to have faith that my experiences have cultivated inner wisdom. She also provides understanding by sharing inspiring real-life accounts from individuals who have followed their “gut feeling” and their amazing experiences as a result of trusting that inner guide. This book is definitely helpful with my goal to continue developing my intuition so that I’m making healthy decisions from an empowered place that supports and protects my purpose in life. Hey, Phoenix! Have you read this book? If so, tell us, in the comment section below, how it has supported your personal growth. If you have an intuition story, please share that, too. 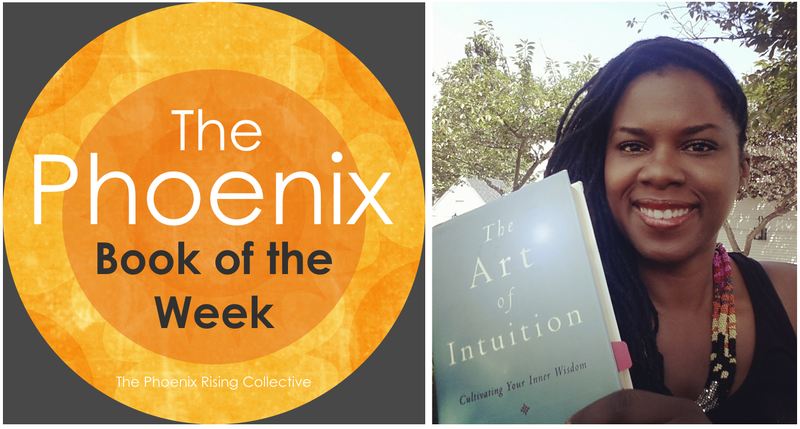 The Phoenix Book of the Week features book recommendations from The Phoenix Rising Collective, as well as the empowered women who support us. We’ll be sharing our thoughts on books that have been powerful resources for sustaining healthy self-esteem, creating emotional and spiritual wellness, and committing to intentional living. We’ll also share our personal stories about how and why the books have inspired personal growth and sparked “light bulb moments” that changed our lives in some way. The book picks may cover a wide range of topics from diverse genres. Read more of our book picks here. 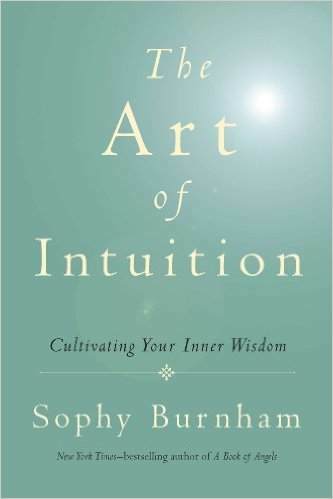 Categories: Phoenix Book Pick | Tags: book review, empowerment, intuition, personal growth, self-care, self-esteem, self-love, sophy burnham, spiritual growth, the art of intuition, whole living | Permalink. #Throwback to Book Picks of the Week! We want to pick up momentum with this series again so share what you’re reading this summer. It’s simple. To be featured just pick your favorite book, take a selfie with it, and tell us how it’s been a self-esteem booster! Share how it has inspired personal growth and sparked “light bulb moments” that changed your life in some way – physically, emotionally, or spiritually. Check out other Phoenixes’ book picks and the “light bulb moments” they shared from reading them, HERE. 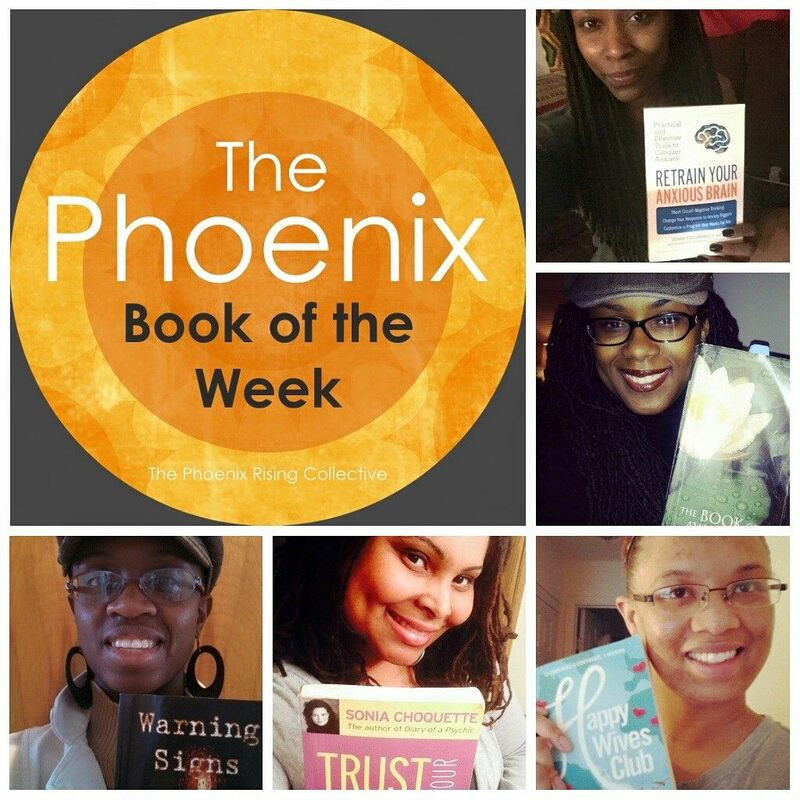 Categories: Phoenix Book Pick | Tags: books, empowering women, empowerment, personal growth, self-care, self-esteem, self-esteem booster, self-love, summer reading, The Phoenix Book of the Week, the phoenix rising collective | Permalink. 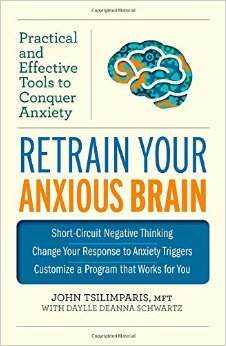 In addition to meeting with my therapist bi-weekly, I love reading John Tsilimparis’ Retrain Your Anxious Brain to help conquer the anxiety. I was catching up on my HeyFranHey when I came across her post recommending it. The book offers practical and effective tools to create a path toward more positive thinking as well as changing responses to anxiety triggers. What I really enjoy about his book is the way in which it encourages readers to dig deep into and take charge of their lives. It has helped me understand and make a distinction between stress and anxiety. Additionally, it helps me identify or break down negative thinking patterns, and assists in turning negative thoughts into life-affirming and spirit-affirming thoughts. Retrain Your Anxious Brain is a powerful spiritual guide because it inspires personal growth in all aspects of my life. It reminds me that I have the power to control my reality and reduce anxiety. It teaches me that I don’t have to battle anxiety; that instead, I need to let go of having control. It is surrendering, not fighting, that must take place. What I am most excited about getting to (I haven’t finished the book just yet and will likely reread it) are the sections on building responsibility and creating a daily accountability plan! The plan focuses on creating a morning ritual or adding to the one you already have. The plan helps you avoid triggers like boredom, and helps you fill your day with activities or chores such as making your bed each morning or meeting a friend for tea. Retrain Your Anxious Brain helps me work from spirit rather than ego and guides me in manifesting spiritual alignment. I have noticed that I judge myself less and am more interested in thanking the Creator for my journey and the process. It reminds me that I am spirit, and I am powerful. I have been able to create more balance, and a more positive personal belief system/outlook on life and reality. I recommend Retrain Your Anxious Brain to anyone who is looking to create a life of gratitude, love, and balance. Hey, Phoenix! Have you read this book? If so, tell us, in the comment section below, how it has created more balance in your life and supported your personal growth. Categories: Phoenix Book Pick | Tags: accountability plan, anxiety, Hey Fran Hey, intentional living practices, John Tsilimparis, mindfulness, positive thinking, Retrain Your Anxious Brain, self-care, stress relievers, the phoenix rising collective | Permalink. I’ve been reading Happy Wives Club by Fawn Weaver. The book outlines Fawn’s journey around the world as she uncovers the secrets to a long lasting happy marriage. I found out about the book being a member of the Happy Wives Club group on Facebook. Daily messages are sent to members with fun and loving statements encouraging members to boast about their love of marriage and their husbands. I’m reading the book because I have been married almost two years and I’ve always enjoyed polling family and friends who have been married 10+ years about what is the success to their marriages. I asked my grandparents, and they said pray; another person said communication; yet another said have thick skin. As a wife and new mother, taking care of my family and being a good example is important to me. Folks are quick to recite statistics that downplay marriage – citing 50% of marriages end in divorce and others. But rarely do you find a whole movement that supports happy marriage. I’m about half way through the book and I am learning a lot. I highly recommend it. 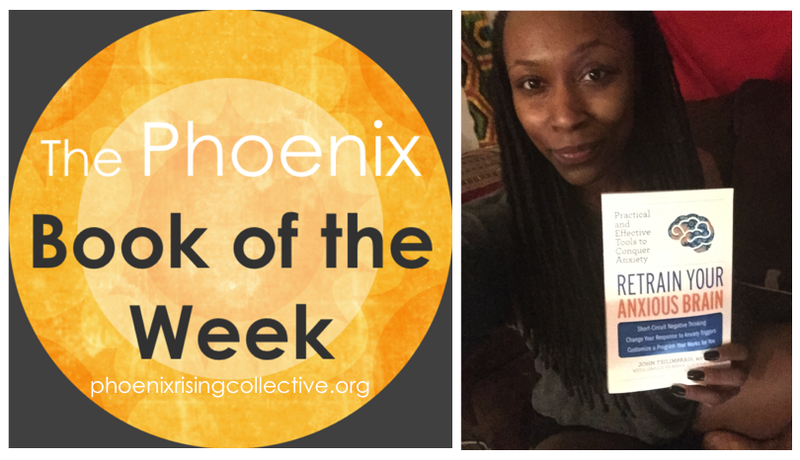 The Phoenix Book of the Week features recommendations from The Phoenix Rising Collective, as well as the empowered women who support us. We’ll be sharing our thoughts on books that have been powerful resources for sustaining healthy self-esteem, creating emotional and spiritual wellness, and committing to intentional living. We’ll also share our personal stories about how and why the books have inspired personal growth and sparked “light bulb moments” that changed our lives in some way. The book picks may cover a wide range of topics from diverse genres. 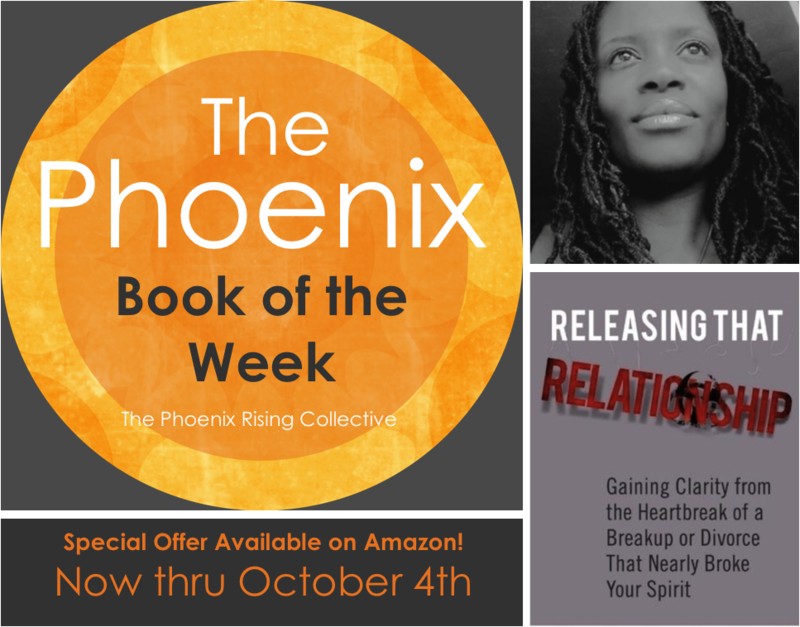 Categories: Phoenix Book Pick | Tags: black women and marriage, book of the week, fawn weavers, happy wives club, inspiration, intentional living, love, marriage, self-confidence, self-esteem, self-love, the phoenix rising collective, women and wellness | Permalink. Our Phoenix Book of the Week Pick comes from Danielle. One of my favorite books is Warning Signs: What every woman should know — a dating guide, by Danielle E. Ward. This book just happens to be one I wrote, but my reasons for selecting it extend beyond the surface. Warning Signs is the kind of book that reads like you’re sitting with your best girlfriend having a heart-to-heart. Just like your sister-friend, this book holds you accountable for your actions and makes you really think about the choices you make when dating. At the same time, it gives you that extra boost of confidence to do what’s necessary to get what you need and desire out of your relationships. Having the book broken down based on traffic lights helps you see exactly where your relationship is and better determine its direction. Warning Signs made me squirm sometimes, because I had to acknowledge my own behaviors and patterns in dating. I remember asking a guy I knew to read it, and he got to one part and said, “You don’t do that.” Ouch. It was time to make some changes. From an author standpoint, writing Warning Signs was like being in an airplane that’s losing air pressure: I needed to put on my own oxygen mask and save myself before I could help anyone else survive. I couldn’t share tips with women that I wasn’t following myself. This book helped me get off the fence in several areas of my life and be clear and unwavering about what I wanted out of my dating relationships. It also helped me clear away dead friendships and relationships and be open to meeting new people who truly valued me. Most importantly, Warning Signs reminded me that I am a work in progress and that’s okay. Like the book states, “Marriage is for mature, responsible people.” We need to “heal and deal” — heal from past hurts and deal with the baggage we brought from previous relationships in order to be ready to move forward. My hope is that women who read Warning Signs will take the time to do an honest assessment of where they are in their relationships and why. Using that information, I envision lives transformed as women leave unhealthy relationships behind and fill up their own love tank. This will help position them for a relationship that complements them and allows them to be content enjoying their own company in the meantime. Warning Signs is available for purchase in all formats. Ten percent of the annual proceeds support survivors of domestic violence. For more information about the book and the author, visit Warning Signs. You may also follow her on Facebook. Categories: Phoenix Book Pick | Tags: black women, empowerment, healthy relationships, inspiration, relationships, self-care, self-esteem, self-love, the phoenix rising collective, women | Permalink.